Are you familiar with Norwex products? 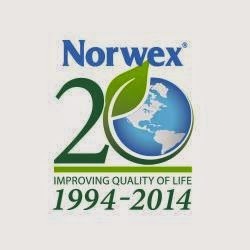 Norwex is committed to radically reducing the use of chemicals in personal care and cleaning to promote health. Norwex motto is "clean without chemicals" - they are the only direct sales company offering the highest quality of GREEN cleaning products. Window Cloth is amazing to clean windows..but it is also amazing to keep my glasses clean! All I do is add a little water then polish my glasses. 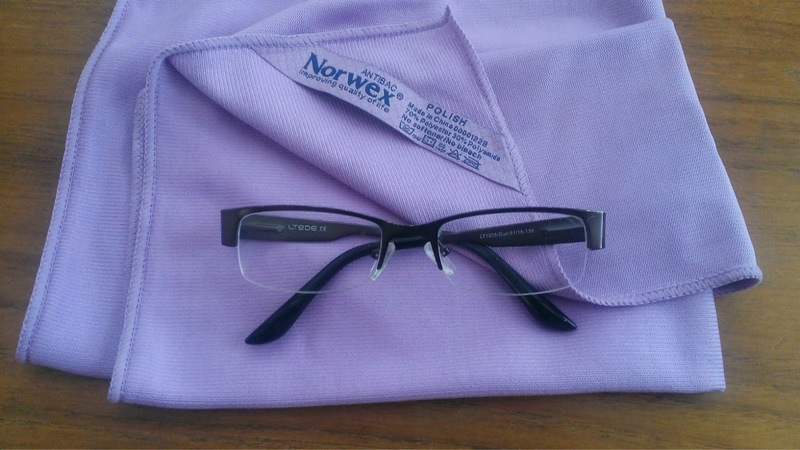 You will not believe how clean your glasses can get - like brand new. No glare like some other cleaners and cloths. Towel is 17.72" x 17.72" - large square that is very easy to handle when polishing windows. I laugh and tell my friends I no longer wash windows - I polish them. Towel sales for $18.49 ~ You are thinking WOW that is pricey! But it really is not...I do not buy any window cleaner or eye glass cleaner! NO PRODUCTS only my cloth. So when you take that into account...$18.49 is a deal! Contact Norwex Consultant Dawn Wallace Consultant ~ You can order directly right off her website. No hassle for you! Shipped directly to your home! I need a towel like this. Like Masshole Mommy, I use newspaper, but then it makes my hands black and that ink in the newspaper probably isn't good for us either. I always love cleaning with these types of microfiber cloths around my house. Especially in the kitchen and bathrooms. I am always looking for a great lens cleaner for my glasses. Can't believe how dirty they can get in just a day? Good to know about this product-and the fact that its organic is a plus. I'm going to look for this the next time I'm at the store! I need to get something like this; sounds fantastic! I would totally use these to clean my glass sliding door! I haven't heard about Norwex yet, but this looks great! I need to get prepared for doing my spring cleaning and the windows are on my list! I so need this cloth. I usually use paper towels to clean my windows and they're left streaky and lint remains. I need this cloth. I had never heard of this before. I can never seem to get my windows perfectly clean using paper towels. This sounds like a great cloth! I have never heard about it before but I really need it! It's nice that companies are stepping up to the plate and making alternatives to harsh chemicals in the environment. Thank you for sharing their story. As I get older I am beginning to wonder what happens with my cleaning products. I love the whole concept of the cloth and cleaning products. I've heard so many awesome things about Norwex. I'll have to actually look into it a bit for us here. I have heard a lot about Norwex, but never tried it. I would love something that keeps my glasses clean - I never seem to be happy with the clothes that I try. I've never hear of this before. I really like it. My glasses always have little kid finger prints on them. This would be a really cool tool to have in the house. My sunglasses are always covered in muck! They do become more cost effective when you factor in the price of glass and window cleaner. This is so cool! I hate how many paper towels I end up with after cleaning all of my windows.